How can technology help us live healthier lives? Maybe the answer lies in the data we leave behind. 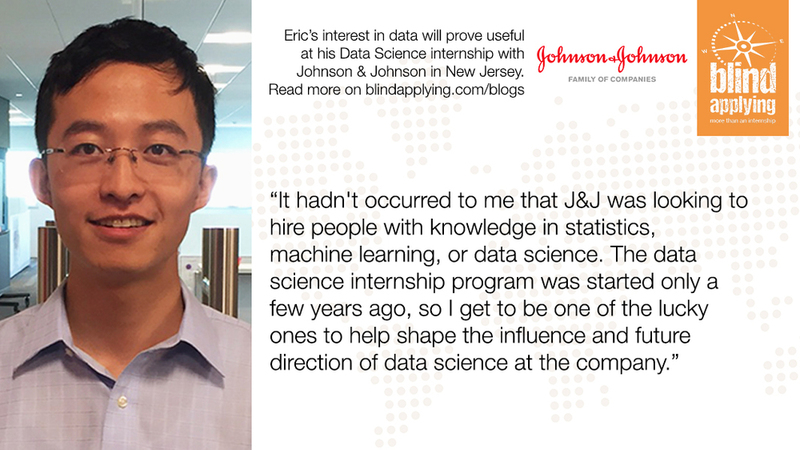 The Blind Applying Advanced Analytics intern at J&J will work with a variety of team members and stakeholders to analyze and produce unique, exciting insights in the consumer & healthcare sector. Eric has been finishing his Master’s in Statistics at Columbia University. Models and statistical analysis will prove useful at his Data Science internship at Johnson & Johnson. Meet Joe from Johnson & Johnson! I have always loved puzzles my whole life (solving things, cracking codes, building things)… I think it is no coincidence I ended up in the role that I did. 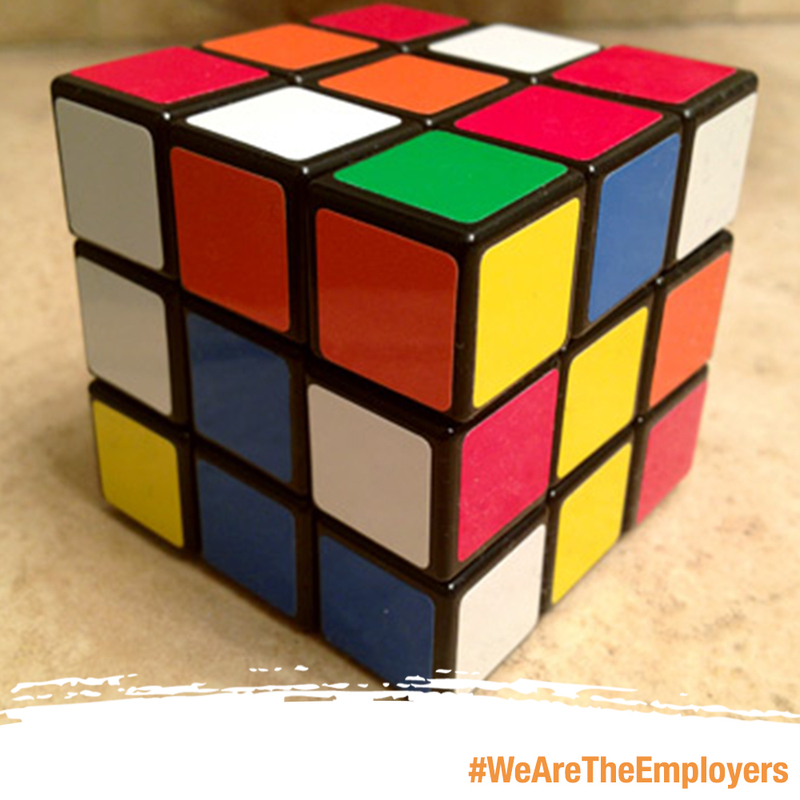 I keep a Rubik’s cube on my desk for microbursts of energy and mental stimulation in between meetings. It’s also a fun conversation starter with colleagues… and entertaining to watch them try to solve while we’re talking. A perfect day for me would be getting in early and reading up on the latest developments in the data science field over some coffee. I may attend a few meetings in the morning with marketers or researchers who are collaborating with our team on some predictive modeling work or Big Data solutioning. In the afternoon, I get some heads down time either alone or with 1 or 2 colleagues to do some collaborative coding or data visualization work that we excitedly plan to share at an upcoming conference or meeting. I loved my time on a recent research project where our data scientists were writing algorithms that could extract and analyze biosensor (wearable technology) data as an early predictor of autism. There was a mobile application involved as well which would collect journal entries for us to analyze as well. I love these sorts of projects. Without a doubt: Bill Nye the Science Guy. He has the brains to crack the toughest challenges but have fun while doing it, and an amazing ability to educate others in simple terms so that complex techniques can be understood by nearly anyone. I’d want Bill on my team any day.